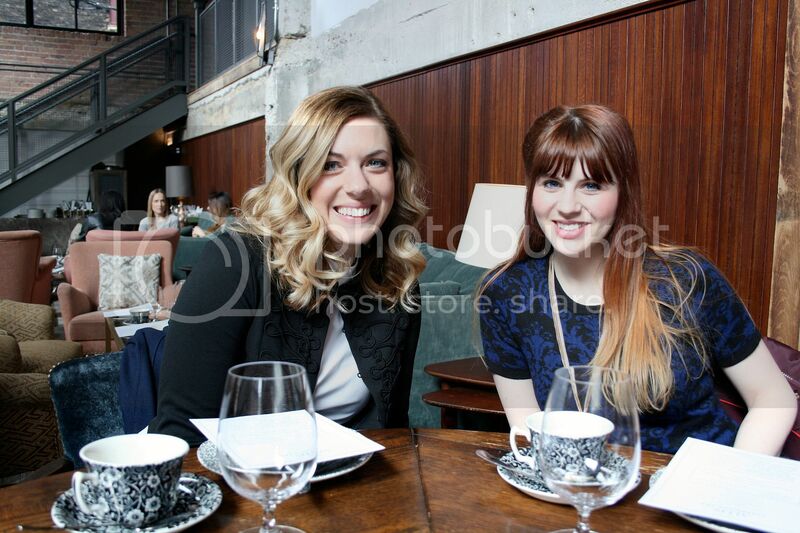 A couple of weekends ago, we spent a fun-filled girls' day in Chicago with our moms and a dear friend. We experienced spastic weather—everything from giant snowflakes to blindingly bright sun— but that's par for the course on an early April day in the midwest, and we didn't let that get us down! We started at The Art Institute of Chicago to see the Van Gogh Bedrooms exhibit. 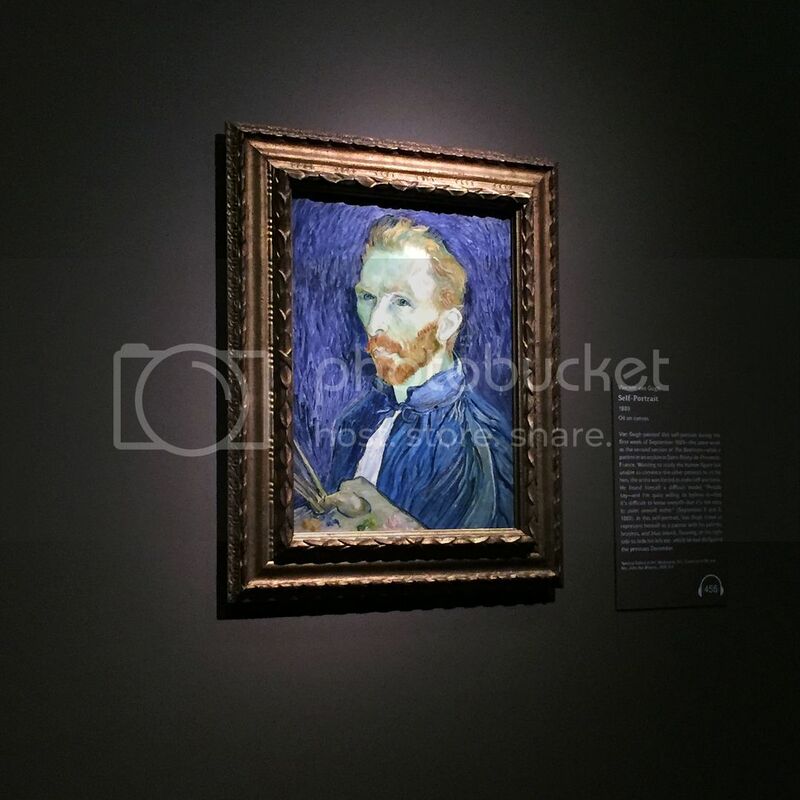 It was a truly surreal and magical experience to see Van Gogh's work up close. We also learned a lot of the history behind his work and about his life in general. 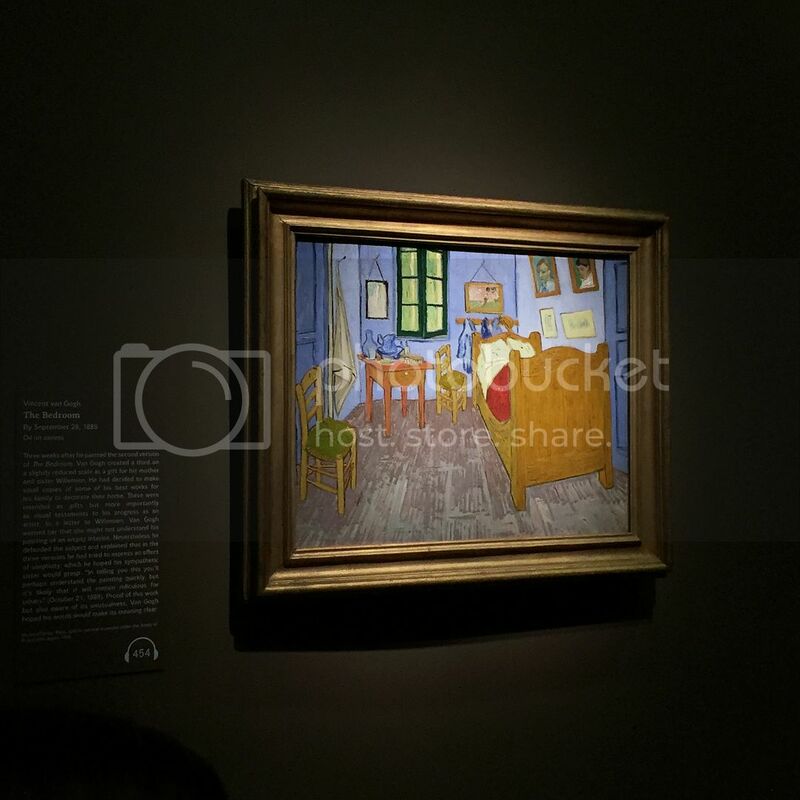 The exhibit included about 36 works by Van Gogh, including his famous Bedroom paintings. The exhibit is open until May 10. If you can, you should definitely make the trip to see it in person. We also spent some time in the rest of The Art Institute exploring the other wings. You could really spend an entire day in the museum and not see it all. 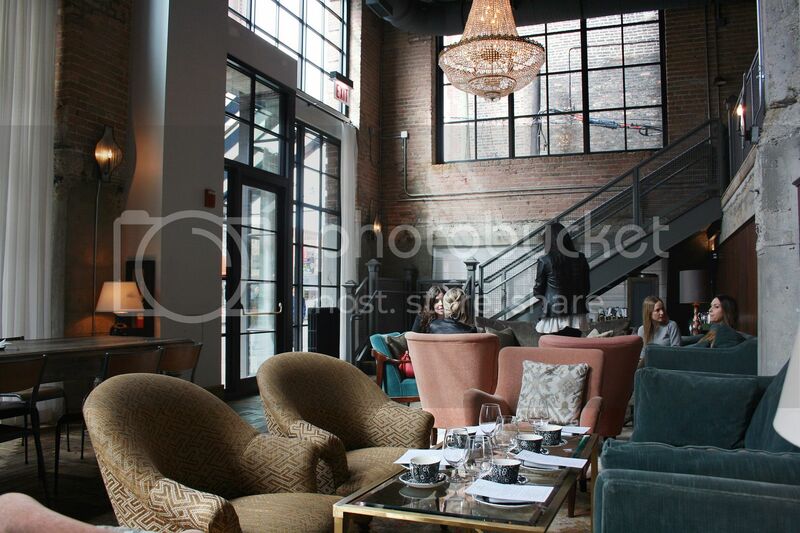 We gave it the good ol' college try before heading to The Allis at Soho House to make our reservation for afternoon tea. The Allis is by far one of the coolest places we've ever been. They serve breakfast, lunch and dinner, but we were only interested in the tea that day. And boy, oh boy, it did not disappoint! The three of us girls opted for the sparkling tea, while the moms went with the regular afternoon tea. We needed a glass of rose prosecco to revive us after spending the morning with Mr. Van Gogh. The treats arrived with our tea and prosecco. 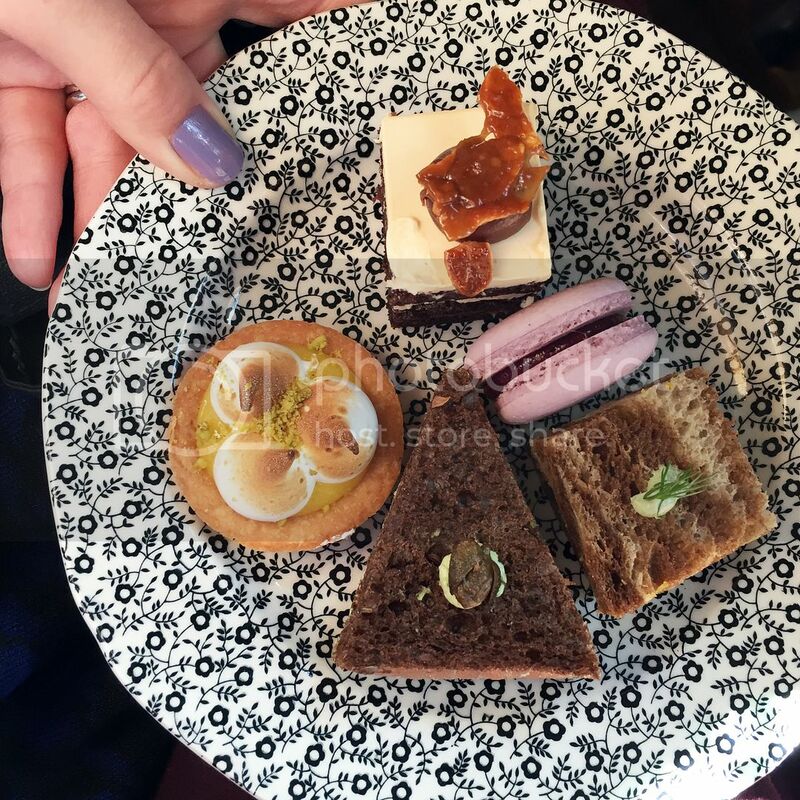 Three beautiful layers of finger sandwiches, cakes, scones, tarts, macaroons and other goodies. It was all so delicious, it's hard to pick favorites! 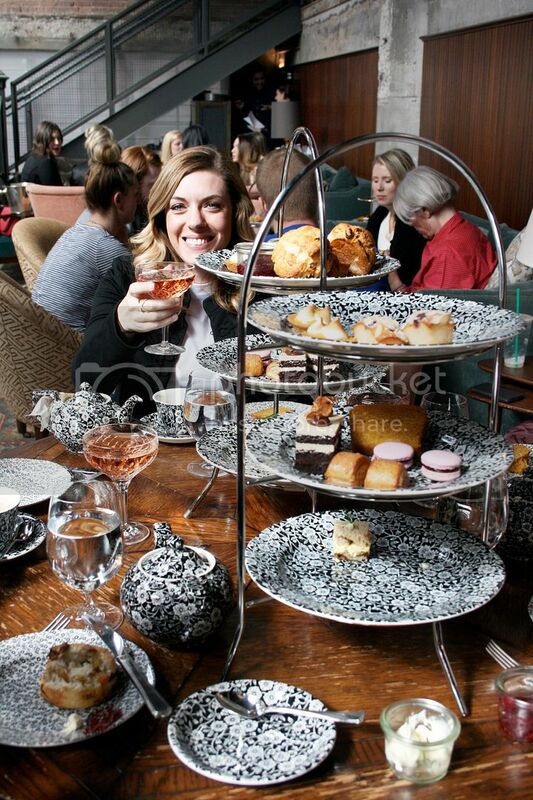 The selection of tea was also incredibly varied, and descriptions were listed like a wine list. We all ordered something different (not even on purpose) and ended up loving our choices. You really can't go wrong with anything on the menu. 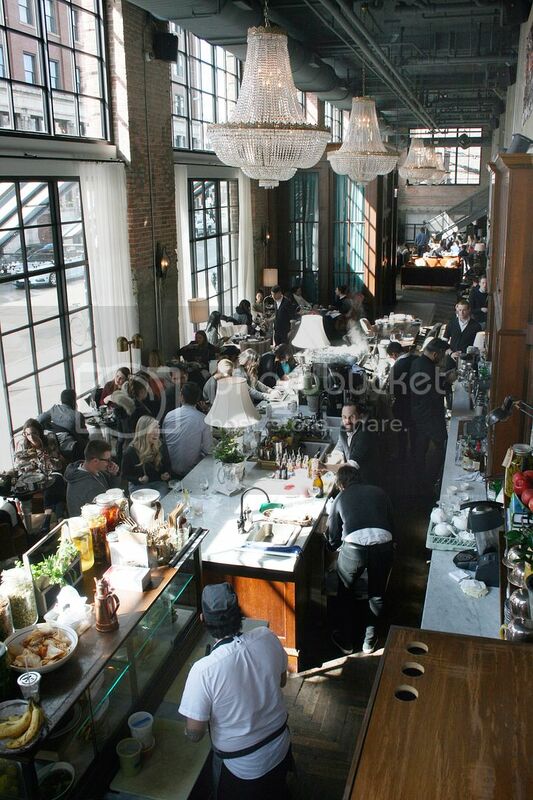 A reservation would be a wise choice if you are planning on going, especially on a Saturday. 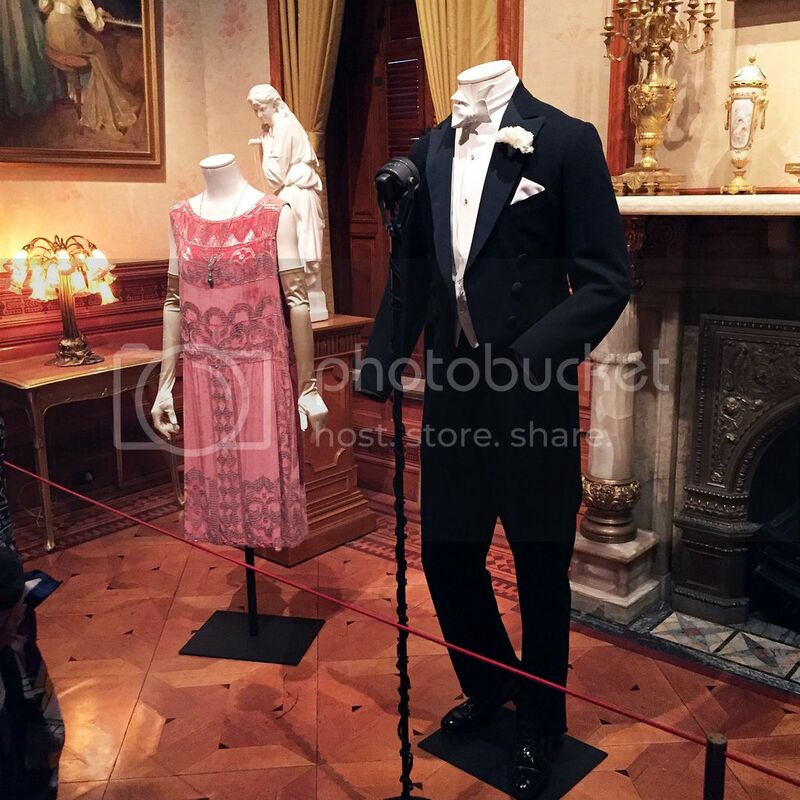 Our last stop of the day was the Dressing Downton exhibit at the Driehaus Museum. 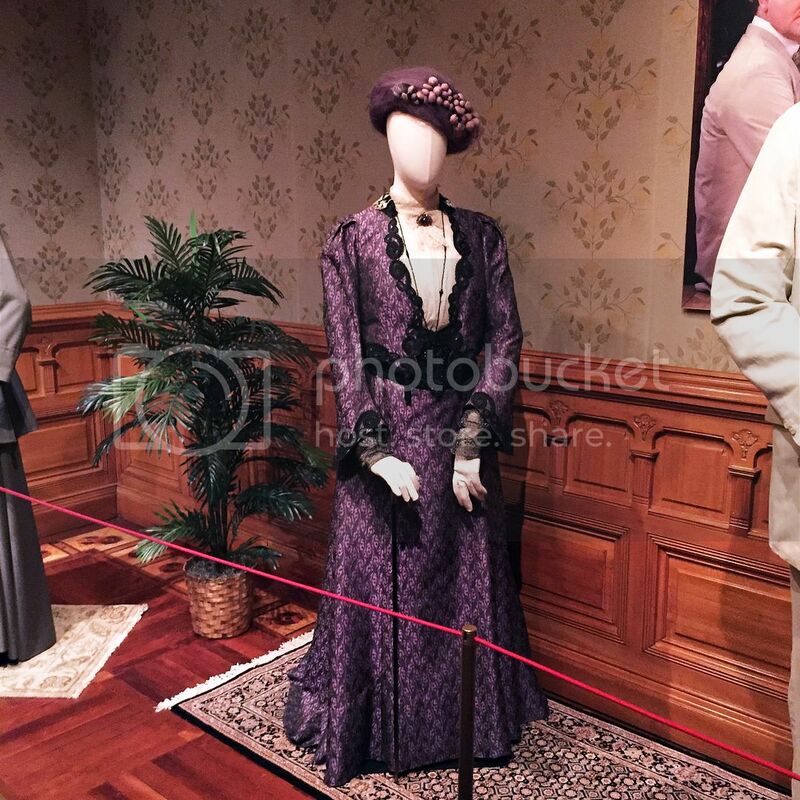 We are all huge fans of Downton Abbey (and might have shed a few tears during the series finale), so this exhibit was quite special for us. 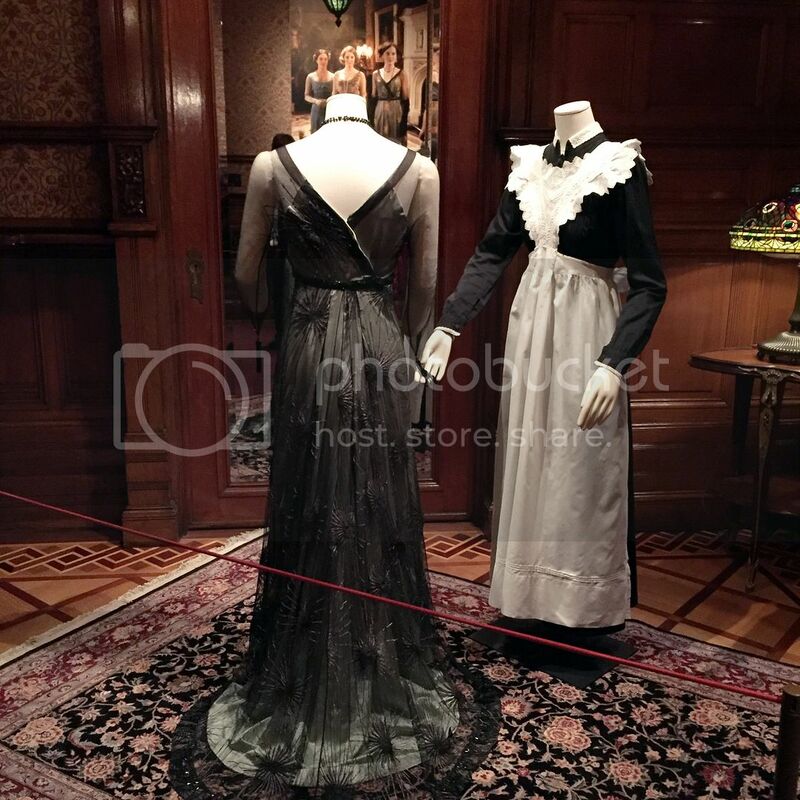 All of the rooms in the Driehaus were staged with costumes from the show. The Driehaus itself is a house that was built during the time period of Downton Abbey that is now a museum. It was by far one of the most beautiful and ornate homes we've ever stepped foot in. Literally, every square inch of the home was decorated in some sort of marble, wood, tile or fabric. 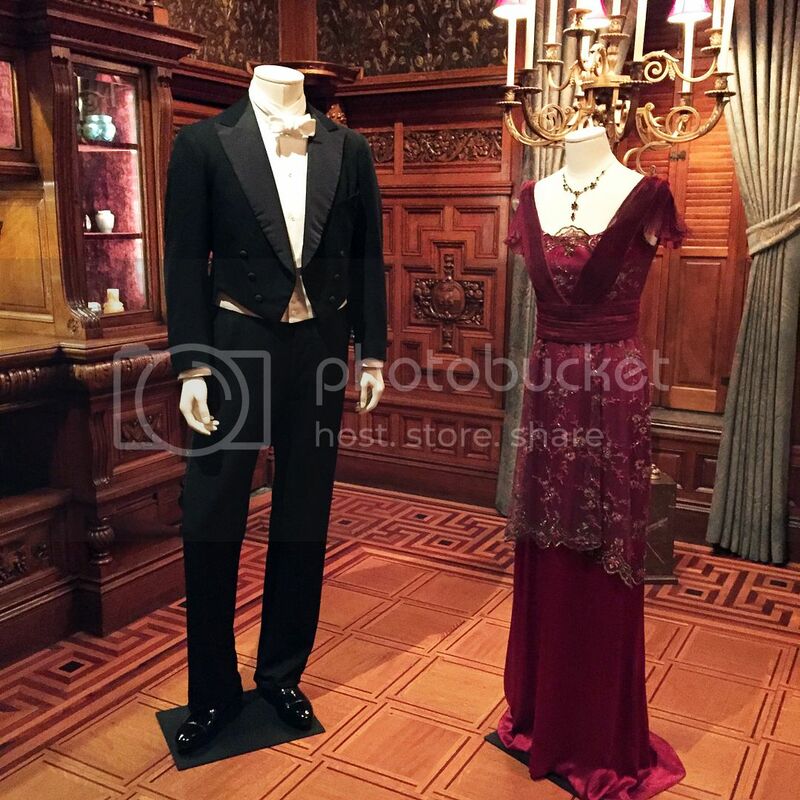 Mixed in with information about the Downton Abbey costumes was history about the museum itself. 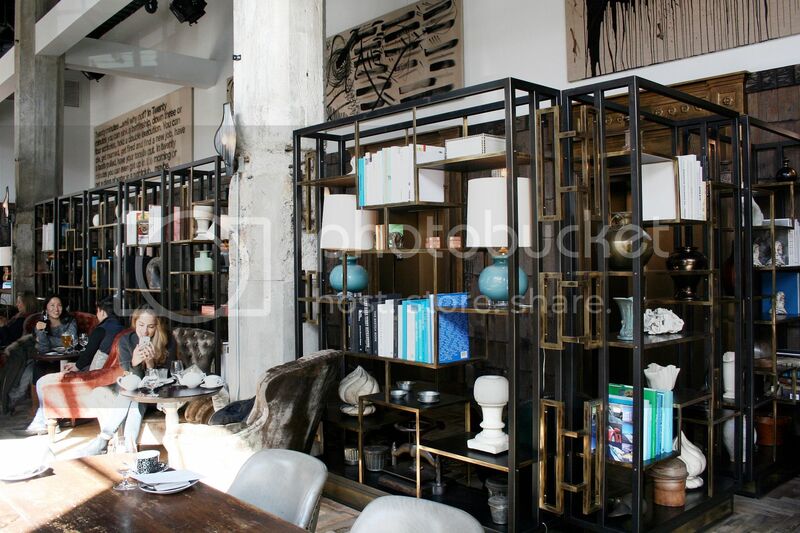 From how they staged grand balls on the top floor, so guests would have to see two other floors of their ornate decor, to when Japanese elements were incorporated into the decorating, it was utterly fascinating. 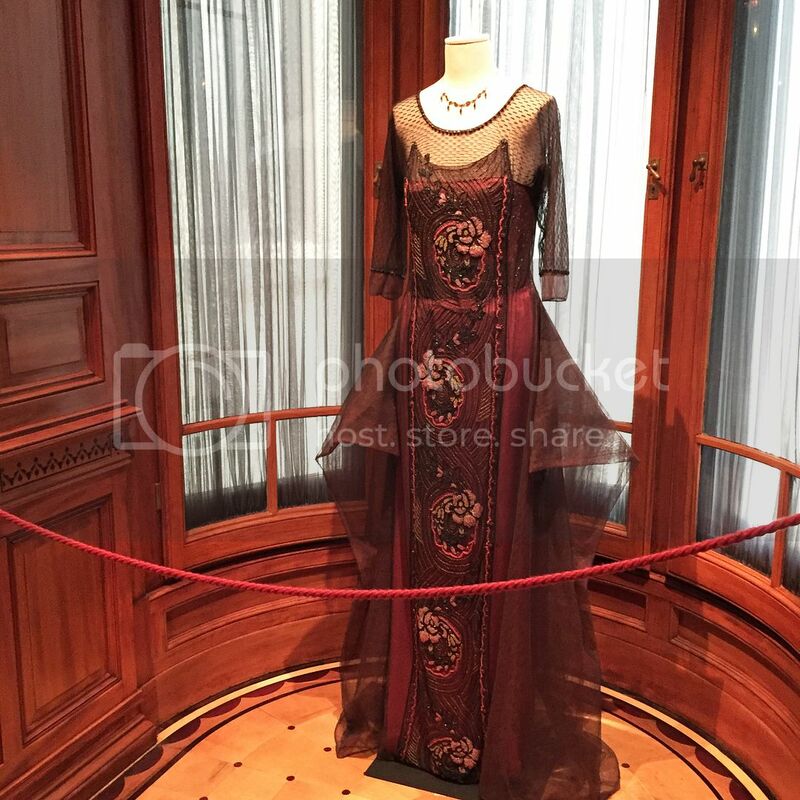 The tour included a personal audio guide with inside interviews with the costume crew from the show. 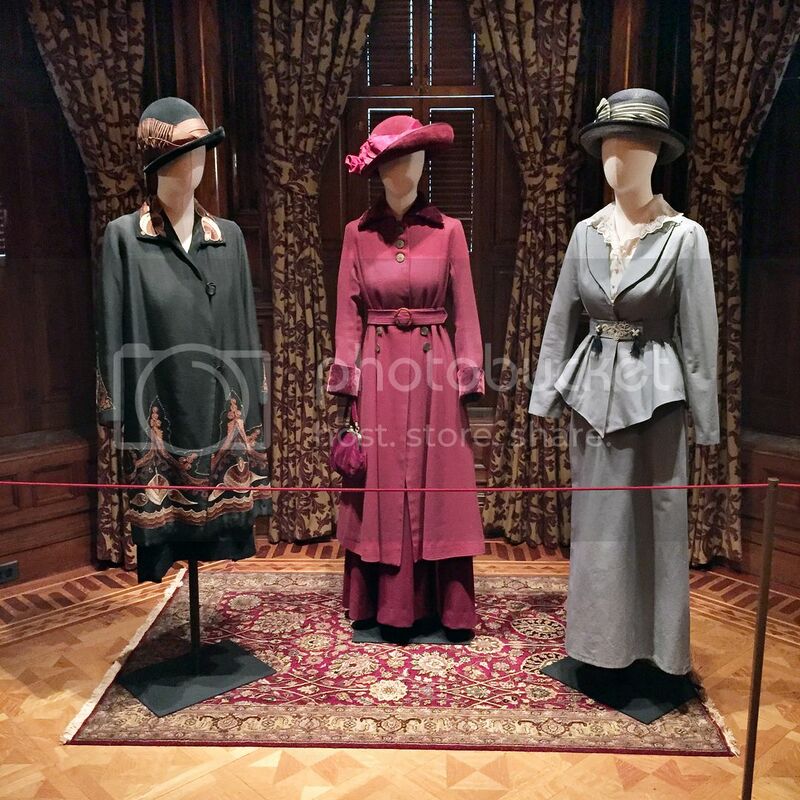 The theme of the show was Changing Fashion for Changing Times, and it was so fun to learn exactly what was trending and for whom throughout the time period the show was set in. If you've kept up with the show in real time, you may have forgotten that Mary once wore snug, form fitting gowns and it wasn't all long, square silhouettes. Seeing the costumes up close was truly breathtaking. The amount of pieces they were able to salvage and rebuild was amazing. Up close, some of them looked so fragile, but you'd never know by watching the show. It was such a wonderful peek behind the scenes of the stunning production that is Downton Abbey. They have extended the exhibit to May 29th, so hurry up and go see it! 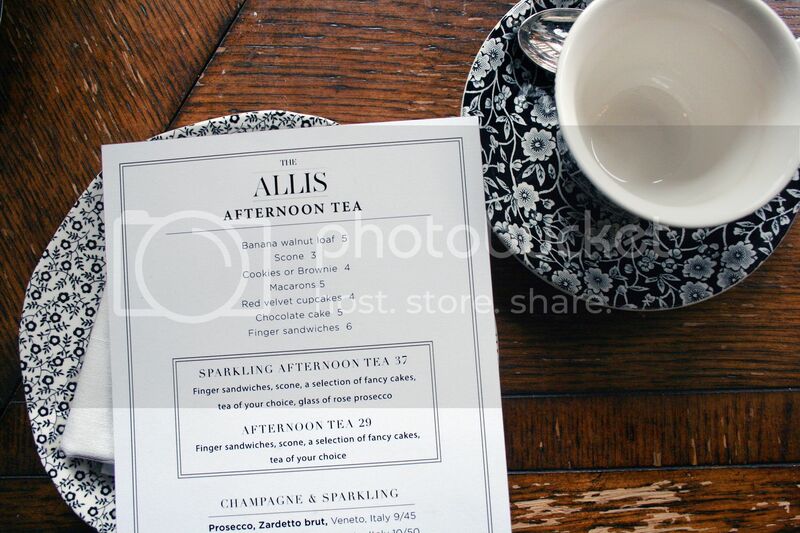 They also offer a tea that you can attend after your tour, if you aren't up for The Allis. It made for a long day, but we had such a wonderful day with our favorite gals in Chicago! 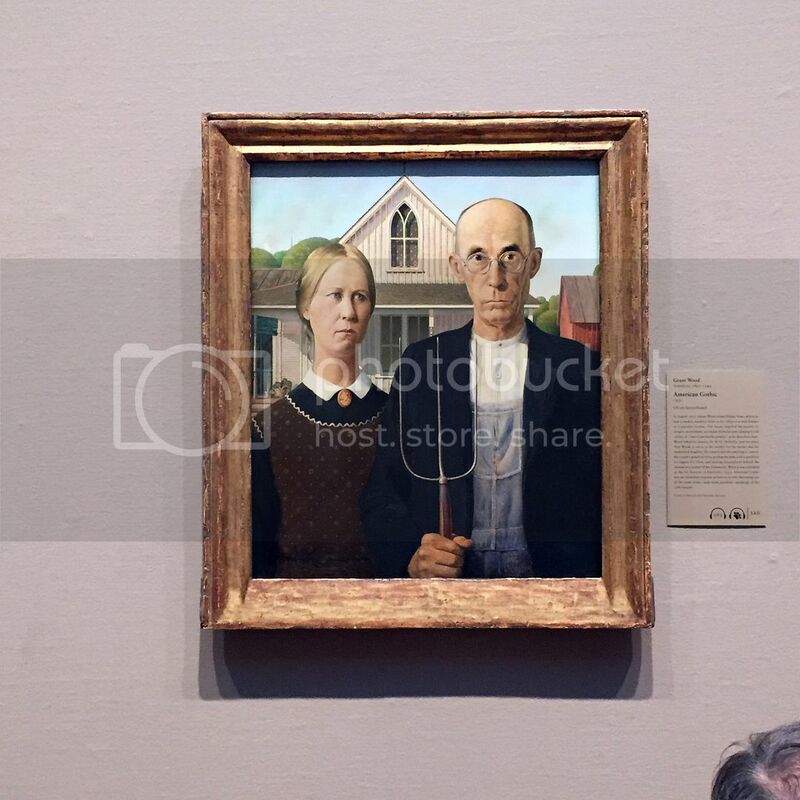 If you're interested in a little art and culture, definitely give it a go before the exhibits pack up and move on to the next location. The Dressing Downton tickets sold out weeks before we went so you might want to book those in advance. The Van Gogh exhibit tickets are available online as well, and as we mentioned, a reservation is a good idea for The Allis. Or, go during the week and just wing it! Up to you, just make sure you speak in a British accent and drink your tea with your pinkie out. Great photos! The Allis looks amazing and the treats look so good! 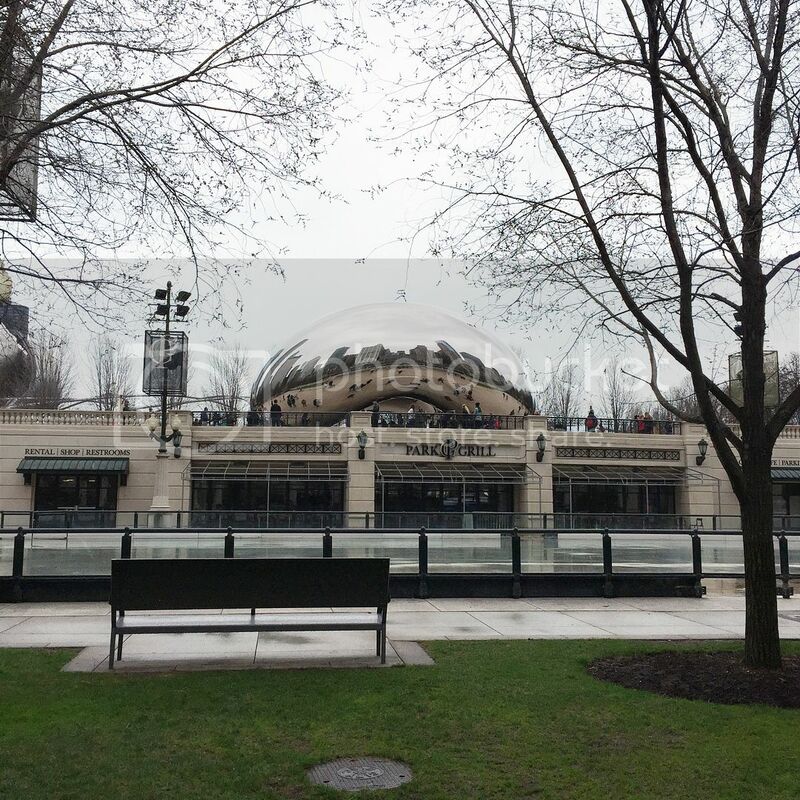 Would love to visit Chicago soon! Thanks Maria! We had a wonderful time! Highly recommend it if you are in the area.